For small startups, keeping clients happy, investors intrigued and turning a profit isn't easy ... on a good day. Try doing it with key team members gone, sirens blaring and rockets firing at your city. With the ongoing fight in Gaza, Israeli entrepreneurs in Tel Aviv have been operating under these circumstances for the past two weeks. Racheli Levkovich -- alumni of the 8200 EISP accelerator and co-founder of Zuznow -- was recently talking to an investor on Skype when a siren went off. "We literally took the computer with us [and] moved to the stairwell in the middle of the call," recalled Levkovich. "When we talk to companies outside of Israel, we try to hide it. We don't want them to think we're an unstable company and to change their minds [about doing business with us]." Zuznow, a development platform that automatically converts websites into mobile sites, is already operating one person short, which is significant given that there are only eight people. The employee has been gone for about two weeks now, one of 65,000 IDF reservists called up to serve in the ground offensive in Gaza. Levkovich said the Israeli market understands any delays, but she's trying to respond to U.S. requests as quickly as before. Doron Nir, CEO of mobile marketplace HappySale said the environmental and emotional distractions are a reminder to stay focused. "It [makes] you want to succeed in what you're doing even more," said Nir. "The essence of the Israeli startup community is that, no matter what, we need to be successful." HappySale has only six employees -- who have not yet been called up to serve. Because their team is so small, each person manages particular functions. If someone like their iOS developer is called to serve in the reserves, the impact on business would be profound. "That's it for iOS development until they come back," said Nir. 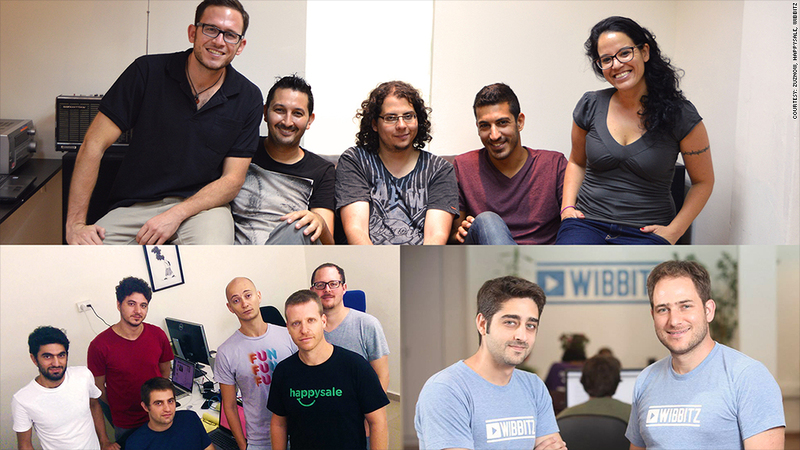 Wibbitz, a Tel Aviv-based startup that turns text articles into videos, had one of its co-founders tapped to serve for about a week. He remains on call and could return to service at any time. Co-founder Zohar Dayan said they've also been working to quell the fears of non-Israeli employees who are experiencing this conflict for the first time. "Once you hear the sirens, everyone runs to a shelter or to the staircase," explained Dayan. "[It's] very sad but it's something that [native Israelis] learn to live with." For Israeli tech companies, this is just an obstacle for the time being. For Levkovich, her primary concern is that her employee returns safely -- and soon -- but the financial strain on the business doesn't go unnoticed. Outside investors are more hesitant to invest. Zuznow, in the process of trying to fundraise, said they've already had people say, "Let's wait." "People are holding and waiting to see what's going to be," said Levkovich.